On behalf of Whitnall Youth Baseball and Fastpitch Softball (WYBFS), we would like to extend you or your company an invitation to consider becoming a sponsor for our 2015 season. We are a non-profit organization that was originally established in 1963 as the Whitnall Area Sports Association. We've been serving children in the Whitnall area and surrounding communities for over 50 years. Our programs support both girls and boys from the ages of 4 thru 16 years of age. Our program is 100% volunteer run, including the board of directors, coaching staff, and everyone that spends time contributing to the program. If providing sponsorship for Whitnall Youth Baseball & Fastpitch Softball is an option for you or your company, please take some time to review the sponsorship information below. We are always open to creating a custom packages for businesses that want to combine sponsorship with donated items or services or tailor fit to your marketing and philanthropic goals. Show the community that you care! 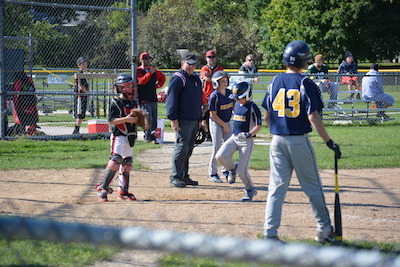 Receive recognition online as an official corporate sponsor of Whitnall Youth Baseball. Donations of merchandise qualify at this level as well. Any new merchandise or services that you have to offer will be raffled off to support the league. Market to our families! – Whitnall Youth Baseball will present a season long marketing offer or a corporate branding message of your choosing to our membership. Online Exposure – Your company logo will appear prominently in our sponsorship page with rotating placement on the landing page to our site. We will also link directly back to a page of your choosing. Team Sponsorship – As a team sponsor your company name or logo will be printed on the back of a team’s uniforms, your company logo will display on that team’s home page, and you’ll receive a thank you plaque from the team. More Online Exposure – Receive all the benefits of the Single and double the online exposure on our website. Signs – WYB will create and place a sign recognizing your company on our outfield and walkway fences. Signs are typically 3’ x 2’. Super Sized Signs! – You will receive a sign that is typically 3' x 6' that is hung directly underneath one of our 6 scoreboards. This sign placement draws more viewership than the outfield sign. Direct Marketing – WYB will run a week-long message to our membership delivered straight to their email and our other social media outlets, multiple times within that week. Billboard Sign Placement – Your company will receive the largest sign that we offer with placement on one of our 6 backstops, which is prime real estate at Schoetz Park. Signs are typically 5’ x 8’. Premium Online Placement – Placement of your company logo on our home page nearly every time it loads. Add this transferrable option to relinquish one family from having to fulfill the normal recreation league volunteer commitment and fundraising. If your sponsorship level includes field signage, multiply your exposure by adding additional outfield and walkway signs. Each of our 12 traveling teams play a minimum of four tournaments and a dozen league games each season. These teams play at a high level, train year round, and consistently win and place at the tournaments we enter. We have teams ranging from U8, playing their first year of travel ball, to defending State champions at the U16 Fastpitch level. Your sponsorship will help offset the cost of indoor practice facilities and the additional equipment required to train these young athletes. As a thank you for your sponsorship, your logo will be on our website and our teams will display a sponsorship banner prominently listing your company and contact information at all of their games. Receive placement on a single tournament banner of your choosing. Receive placement on 4 of our tournament banners. You can choose between our 4 fastpitch teams, or 2 sets of baseball teams. You’ll receive equal viewership no matter which choice you make. A larger version or your company logo will be placed in one of three primary positions on 4 of our tournament team banners. 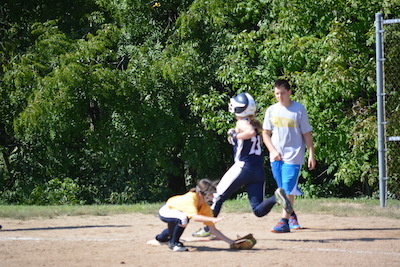 You can choose between our 4 fastpitch teams, or 2 sets of baseball teams. You’ll receive equal viewership no matter which choice you make. This level features a larger version or your company logo in the most prominent placement in one of three positions on all 12 teams sponsorship banners. 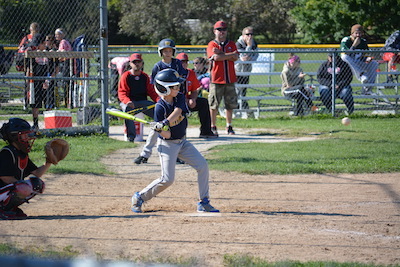 Each season Whitnall Youth Baseball holds four tournaments at our home fields. Your company will be the primary sponsor for the tournament of your choice. Beneifts include: All printed and online tournament materials will contain your company logo. Additional signs will be created displaying your logo and the tournament name at Schoetz Park.